I don’t think it’s essential to be gender biased when selecting toddler girl toys. Toys for boys aged between two and four are often as attractive to girls of the same age. And vice versa. It’s often we grown-ups who show too much of a bias when selecting a correct toy for a toddler girl. In these reviews you’ll see what other people have picked as toys for their little girls. 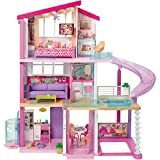 Seeing what are popular toys for toddler girls can give you ideas as to what will be a great toy for your young lady. Many toys have been traditionally associated with little girls. 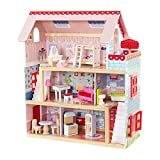 Dolls, dolls houses, toy kitchens and prams are all thought of as toddler girl toys. Although we don’t consider that you should restrict a little girls toys to just these groups neither should we ignore them. There are development benefits in these toys that can be enjoyed by both toddler girls and boys. It is through playing with these toys for girl toddlers that children learn about their world and the things in it. Play allows little girls and boys the chance to explore their environment, to learn how it works and how they relate to it. 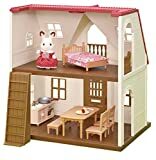 A girl toddler can express feelings and emotions through the various types of play activities enabled by these toys, far earlier than they can express them in words. 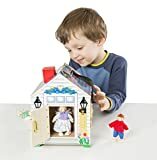 Little girls and boys love imitating the grown ups in their world and realistic toys that help them to do this will always be attractive to them. Having a collection of old clothes, fabric remnants and accessories can open up a whole new world of imaginative play for your little one. Ask friends, neighbors and family to contribute to your dressing up box. Your own old clothes and accessories will be used to good effect too. For toddlers, brightly colored and richly textured materials are preferred. Shiny fabrics like satin are wonderful for super hero outfits. Princesses and nobles like velvet cloaks. Accessories like old costume jewelry, tiaras, hand bags, hats and umbrellas all add to the fun. Do check first, for sharp items and for any that may be swallowed. You will be surprised at the inventive uses that are found for just simple pieces of fabric or scarves and shawls. Left over hats, costumes and decorations from grown up parties can supplement your collection. Keep all your dressing up materials in one place. An old trunk, a large cardboard appliance box or a suitcase are fine. It’s important your youngster can easily pull out the clothes and also tidy them away at the end of play. This is the age for imaginative and pretend play. The more realistic toddler girl toys are the more they help your youngster develop their make believe world. Toys are sturdy, unbreakable, and unlikely to break into small pieces. They need to be strong enough for you child to stand on or in. Have no sharp points or edges. Are too large to be lodged in a toddlers windpipe, ears, or nostrils. Have no detachable small parts. Are not put together with easily exposed straight pins, sharp wires or nails. Take care with electrical parts and supervise play with toys containing these . 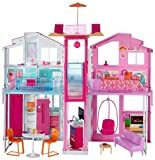 Dolls houses and play kitchens can be quite expensive but will last your child a long time. Look for quality toys made of durable materials. Bright colors always add to the appeal of a toy for a girl toddler. It doesn’t necessarily need to be pink! Alice’s Adventures in Wonderland was written by Lewis Carroll using stories he invented for a real little girl – Alice Liddell. The story is full of fantastic and bizarre characters. The White Rabbit obsessed with his lateness; the Mad Hatter and sleepy Dormouse, the smiling Cheshire Cat and the blood thirsty Queen of Hearts. I think this makes it a tremendous story to read to even quite young children. It’s better if you can make up appropriate voices and act out the mannerisms of the various characters. The stories are written in beautiful English and contain many references to logic and reasoning. ‘You might just as well say ’ added the March Hare, ‘that “I like what I get” is the same thing as “I get what I like” ‘ . Alice is a little girl with a lot of confidence and self esteem. She is not prepared to take lightly a great deal of the nonsense with which she is presented. Lewis Carroll’s real name was Charles Dodgson and he was a mathematician and logician at Oxford University, England in the middle of the 19th century. “Sometimes to tease us, Mr. Dodgson would stop and say suddenly, ‘That’s all till next time.’ ‘Oh,’ we would cry, ‘it’s not bedtime already!’ and he would go on. Another time the story would begin in the boat and Mr. Dodgson would pretend to fall asleep in the middle – to our great dismay.” Alice Liddell. Cash Register toys for Girls – Play mall! Toy John Deere tractors – Wonderfully realistic ride on toys for kids that they’ll love. Prices are accurate as of April 25, 2019 10:12 am. Product prices and available are subject to change. Any price and availablility information displayed on Amazon.com at the time of purchase will apply to the purchase of any products.